Xeenius strives to bring value by providing solutions leveraging the latest technology for Business Process Automation utilizing Artificial Intelligence that can provide faster process mapping, enhanced workflow solutions and ROI impact. This revolutionary new solution uses AI to automatically analyze a company’s business processes and evaluate each process suitability for automation. 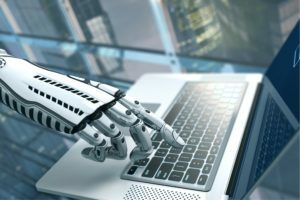 Until now, many companies implemented Robotic Process Automation (RPA) step by step – starting with a few processes in a few departments and then slowly expanding. Now, full automation can be done in a single step almost instantly. Our RPA solution identifies and maps employee interactions, produces mapping recommendations and prioritizes recommendations based upon ROI. Workflow changes can be reviewed, accepted and implemented all within minutes — turning recommendations into automated results. for improved virtual workflow in minutes not days.